On our honeymoon my husband and I went on a fabulous cruise for 7 days. We were seated at dinner each night with a couple who were also newlyweds. The husband was very short and round, quite a bit older than his bride and a little on the nerdy side. His bride was younger and very, very beautiful. It was obvious after just a few minutes of sitting with them that he was enamored with her and seemed to need LOTS of reassuring from her. So much so that at least once a minute he uttered the words….”I love you so muchhhhhhhh”. Each time he said it to his new bride he would stop and wait for her to confirm her love in return. I’m not exaggerating- he would stop mid-sentence in a conversation to someone else and say the exact same words (“I love you so muchhhhhhh”) every few minutes. It happened so often that it became comical and Tony and I even started to count the number of times he said it during a single meal and were always in the double digits. At the time I thought it was so funny but honestly if I think about it, I’m the same way- so often needing reassurance that I’m really and truly loved because I often feel so unworthy.. I have a secret fear that I think many people also have but don’t like to admit. 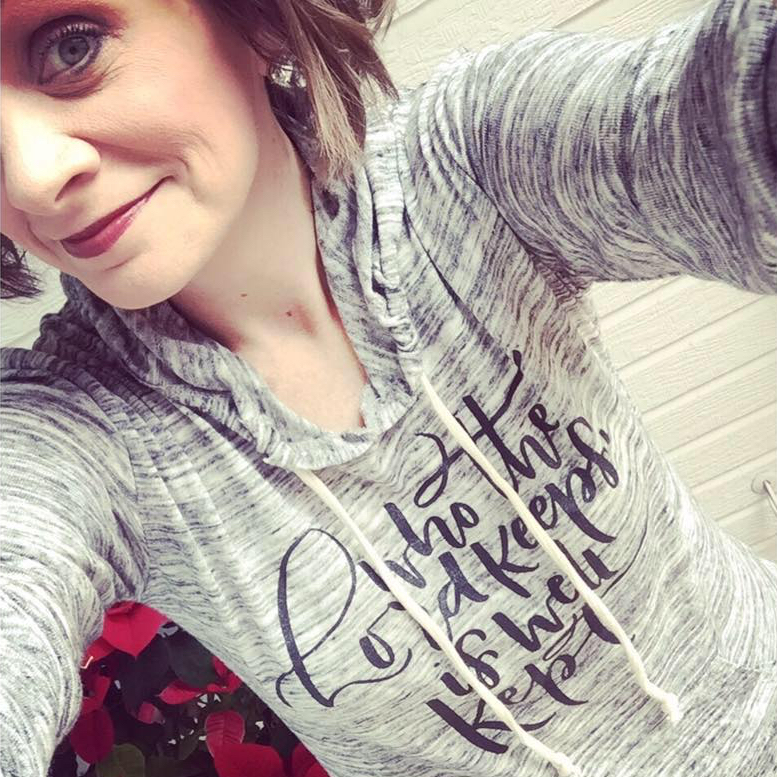 Deep down I fear that if people really knew me, the true me- all of the good, the bad, and the ugly parts of me- the things I think and the things I say under my breath in anger or frustration- they wouldn’t truly love me. I think we all feel that way about people and even about God at times and we question His love for us. Thankfully our Lord knew we would struggle with this and over and over and over again in His word He tells of us His great love for us! I love the word lavish. It doesn’t mean He just kinda, sorta loves us. It means that He over the top, extravagantly, generously love us with extravagant abundance. His love isn’t based on how we behave or how we perform (thank goodness!). Our perfect Heavenly Father loves us- no matter what. His love is the same today and tomorrow- it is constant and infinite. He loves us on the days we mess up and on the days when we do things right. He adores us, truly. And there isn’t a single way we can earn that love and our status as His children. It’s just an undeserving gift He bestows on us- His immense love for us. The God of the universe loves you and He loves me. Right where we are right now. Deeply and passionately. 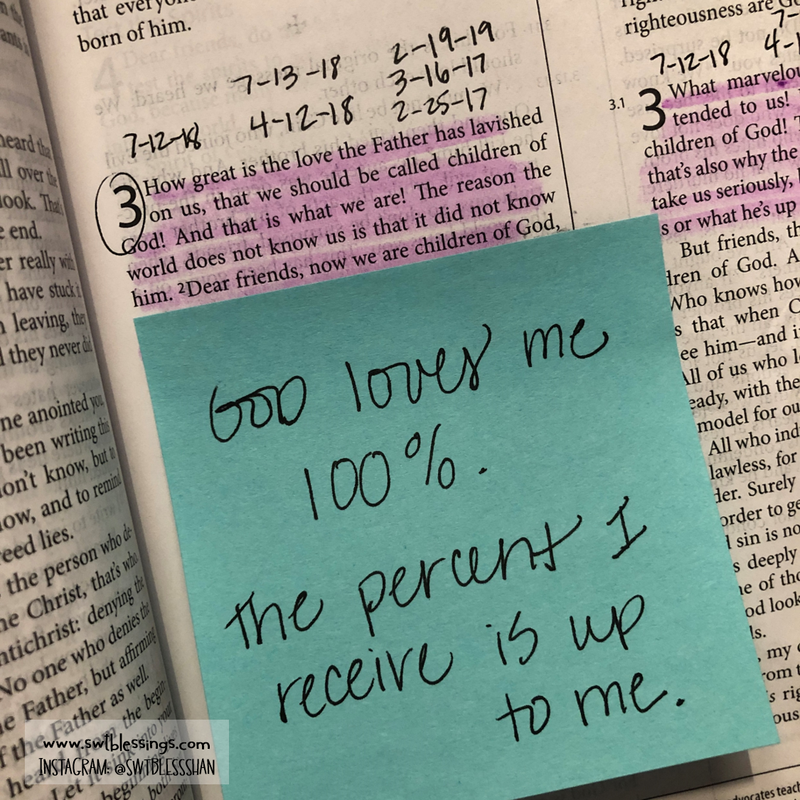 He loves us 100%. 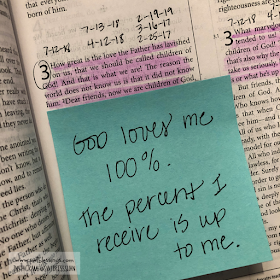 The percent we receive is up to us. My prayer today is that today you are reminded that despite all your fears, worries and imperfections, He loves you lavishly and calls you His beloved child. I pray that you are able to receive His love today- remembering that it's not based on what you do, but on who God says your are- His.